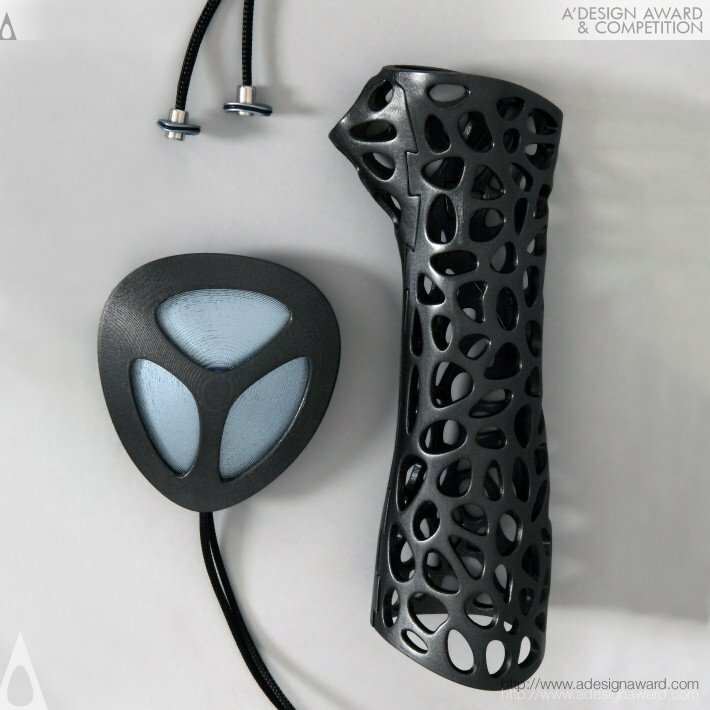 Deniz Karasahin recently won a A'Design award for a 3-D printed medical cast that allows for improved ventilation and patient comfort when compared to traditional plaster or fiberglass casts. The organic 3-D printed structure has multiple ventilation holes which do not, presumably, compromise the mechanical integrity or strength of the cast. The cast is created after scanning the patients target body area and importing the data into CAD software. 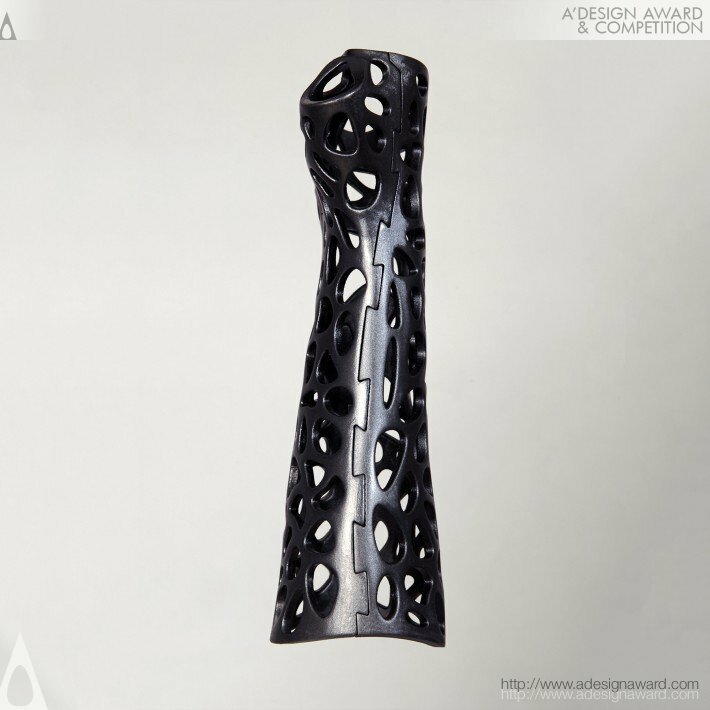 The cast is printed with ABS plastic using a FDM process. Additionally, the inventor claims that Low Intensity Pulse Ultrasound (LIPUS) bone stimulators can be embedded into the cast material to improve healing. This promises to reduce the healing process by 38% and increase the here rate up to 80% in nonunion fractures. This is very interesting. Of course, the cast itself looks very cool and I would definitely prefer a cast like this over a conventional plaster or fiberglass cast, as it seems like it would be much more comfortable. I do have some questions about the LIPUS ultrasound treatment. A quick search of PubMed reveals that this technology has shown to help with tibial and radial fractures. Other studies show that it does not work for all bony fractures, for instance clavicle fractures. So it seems like the research is still out about exactly where this device might be used. Additionally, I can see practical problems with performing a 3-D surface scan on a swollen, mangled extremity in the ED, designing it using CAD software, and 3-D printing a cast on the spot. Right now there are barriers or practical implementation. Perhaps the cast could be more practically used as a replacement after a conventional cast has been placed in the acute setting. Should these casts become widely adopted, maybe someone will invent a 3-D printed cast of vending machine which will scan, design, and print your cast on the spot. Read the design proposal here. Wow this is really fascinating. I wish there was something like this when I broke my arm as a kid. I like the idea of less itching and spending less time wearing the cast. And less smelly too! Not to mention the benefit of faster healing. 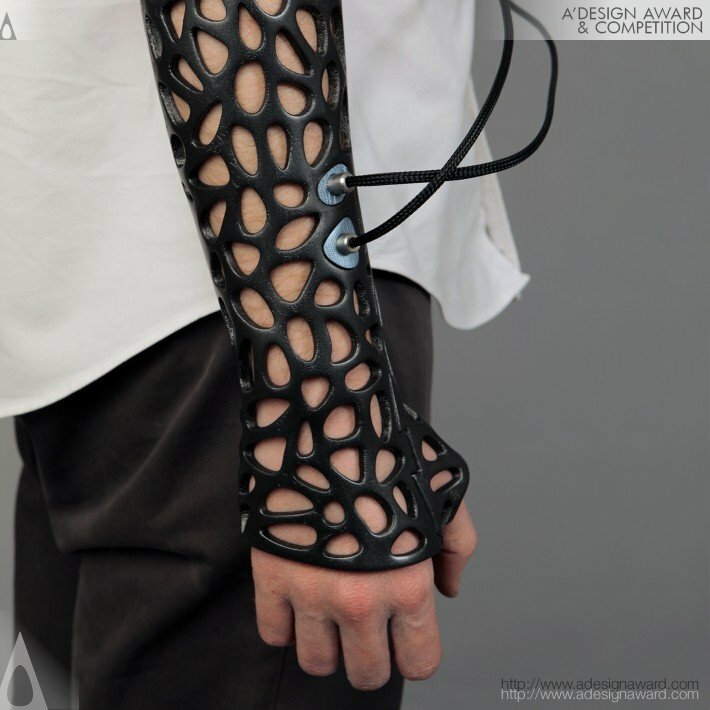 3D printing is making customized manufacture a reality, and there is nothing more customized than our own bodies!